Welcome to my CDF/Cal Fire Registry History Page. My name is Glen Newman , and this is a short Historical perspective of my time with the organization. My Training, Assignments, Calls, Incidents and Adventures that I recall as vivid memories. My co-workers and friends often called me . I started as a Seasonal Firefighter in May 1961 at the Elsinore Station, Riverside Ranger Unit. Harvey French was the State Forest Ranger, Raymond Townsend was the Forest Firefighter Foreman (FFF), Denver Seals, Lou Daniels and Don Hedges were the Forest Fire Truck Drivers(FFTD). 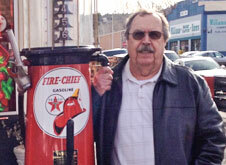 (Don was later appointed as the second Forest Firefighter Foreman). Fellow Season Firefighters, that I can remember, were Richard Barrows and Joe Duffy. (As I remember more I will add their names) I was laid off at the end of Fire Season and worked as a Machinist at Bridgeport Brass in Riverside . After passing the Forest Fire Truck Driver exam appointed as a FFTD at the District VI warehouse located in the City of Riverside where I worked for Ed Hewitt, Clearance Shay and Jerry Glover. James K. Mace was the Deputy State Forester and Mike Schore was the Assistant Deputy State Forester in charge of District VI. In May of 1964 transferred back to the Elsinore Station as a FFTD. 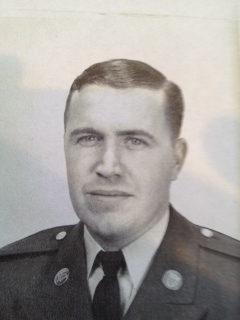 In February 1965 I was drafted into the US Army and was Honorably Discharged in January 1967 as a Specialist 5, E5. Upon returning to CDF assigned as a FFTD to the Temecula Station in Riverside County where I worked for Forest Firefighter Foreman(FFF) Gene Lowery. Fellow Forest Fire Truck Driver (FFTD) was Phil Kerr (again as I remember more I will inter their names). In May of 1968 appointed to Forest Firefighter Foreman (FFF), which became Forestry Foreman I (FFI), which became Fire Captain (FC),(note: no raises in pay, just a new titles) As Fire Captain assigned to the Glen Avon, Schedule A Station, in Riverside County. I had married my wife Janice in January of 1968 and we were given the residence on top of the station, made it great for us and our two kids, Michael and Syndi, as we worked a 96 hour work week at the time. In January 1972 given a Limited Term Promotion (TAU) to Fire Crew Foreman(FCF) at the Southern California Conservation Center located inside the Chino State Prison which was closed and moved to the old Don Lugo Camp and renamed Prado Camp all in San Bernardino County. Ed Brown was the Superintendent of the Camp and fellow Fire Crew Foreman (FCF) were Charlie White, Cord Vogh, Larry Kid, Paul Alanez, Paul Mason,John Renstrum and Mike Colgan from the Orange Ranger Unit also on a TAU assignment for the winter. In November 1972 appointed to Forestry Field Trainee for District VI with headquarters located in the City of Riverside. At the completion of the Forestry Field Trainee assignment, in January 1974, promoted to Junior Forester (JF) (it payed 5% more than a Fire Captain) and assigned to San Bernardino Ranger Unit in Fire Prevention and then to the Loma Linda Station as a Station Captain along with Berry Olson, Larry Young was the State Forest Ranger (as I remember the names of the firefighters I will list them). July 1, 1974 appointed to State Forest Ranger I(SFRI), which became Battalion Chief,(BC) at the Riverside Ranger Unit Headquarters in Perris. J. Elmer Chambers was the Ranger in Charge, Dave Flake and Don Russell were Deputys but exact tile is unknown. The Perris Ranger District, latter Battalion, had 9 (one state and 8 county) stations. Approximately three years later transferred to the Corona Ranger District, Battalion, with 7 stations (two state and 5 county). June 1979 appointed State Forest Ranger II(SFRII) (which became Division Chief) at the Region(former District) VI Headquarters in the City of Riverside as the Regional Administrative Officer. Joe Springer was the Deputy State Forester and Rex Griggs was the Assistant Deputy State Forester. May 1981 appointed to State Forest Ranger III(SRFIII) (which became Deputy Chief) as Region VI Conservation Camp Program Manager. November 1982 transfered to the Riverside Ranger Unit Headquarters as State Forest Ranger III(SFRIII) (Deputy Chief)behind Gene Bach. Dave Flake was the State Forest Ranger IV and County Fire Chief, Bob Martines was Western operations State Forest Ranger II, Eric Vogt was Eastern Operations State Forest Ranger II and Bud Engle was Administrative officer State Forest Ranger II. At that time the unit had 70 stations, 101 engines and contracted with 10 cities for fire protection. January 31,1986 appointed State Forest Ranger IV (SFRIV), Ranger in Charge San Bernardino Ranger unit and County Fire Warden Behind Don Banghart. Keith Metcalf was the State Forest Ranger III (Deputy Chief) Bob Martines became the Admin officer,State Forest Ranger II. At that time the integrated State and County Department had 44 stations and contracted with three cities. January 1, 1988 transferred to Riverside Ranger Unit as the Ranger in Charge, State Forest Ranger IV (SFRIV) and County Fire Chief. Behind Ray Hebard who transferred to Mendocino Ranger Unit. January 1992 appointed to Assistant Region Chief Region III (former Region VI) Region office is located in the City of Riverside. Position was a C.E.A.II (Career Executive Assignment) Department reorganized from Five Regions into two Regions in 1993 and the position was renamed South Area Chief (still a C.E.A. position) and given additional responsibilities for operations of the new Sierra-South Region in addition to being responsible for the 5 Southern Units. Jim Owen was the new Region Chief (C.E.A.III) and Gary Gilbert was the Regions Administrative officer (C.E.A.II) in addition to being responsible for the 5 units in the Sierra Area. July 31, 1996 appointed to Region Chief (C.E.A.III) of the Coast-Cascade Region in Santa Rosa. Behind Lloyd Keefer. September 2001 appointed Acting Chief Deputy Direction Behind Woody Alshouse. December 30, 2001 Retired after 40 years, replaced by Jim Wright. Each assignment has had something special about it and always enjoyed learning a new job and trying to contribute for the betterment of the department. Going from Southern California to Northern California was a very exciting time for Janice and myself, so much to learn and so may great new places to visit. Having had the opportunity to work on both ends of the state was a great value to me in understanding the department as a whole, from Resource Management, to Fire Protection, to state wide budget issues. If you get a chance to move around, and you can afford it, take advantage of the opportunity. One thing you will find no matter where you work the people are all the same, GREAT EMPLOYEES and dedicated to the organization. With 40 years experiance I many many memorable events, some with great sadness and some with great joy. The one that stands out in my mind occurred in September 1970 when I was a station Captain at the Glen Avon schedule A station which was a one person engine company with volunteers. Dispatched to a reported structure fire with persons trapped I arrived and individual volunteers were already on the scene. Just as I pulled up a volunteer Dennis Padwee was exiting the burning structure with a baby in his arms, he handed the unresponsive baby to volunteer Thom Baker who placed his mouth over the babies mouth and nose and sucked the mucus from the baby and spit it out, and then gave the baby mouth to mouth, reviving the baby, not a pretty site but great results. When other memories flood over me I bring that action of two ordinary men back to mind. Be honest, work hard and remember most of all you are here to serve the public not the other way around. A wise person once told me that when you get a call to an emergency, remain calm as it is not your emergency it is only your time to go to work.